I have been blogging for over a year now. Oh yeah, and guess what? This post is the 100th post on Gloson Blog! So I thought I better make it grand. I’d like to share 22 reasons for you to blog here (or 22 benefits of blogging). Pretty cool for the 100th post, huh? By the way, one of the most common reason people stop blogging is because they don’t have a reason to do it. They don’t have a source of motivation. 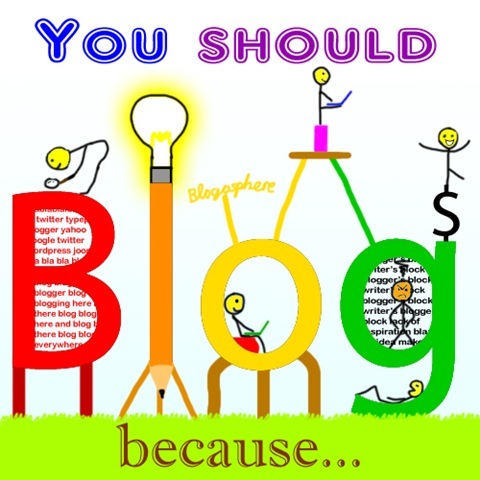 So, here is the list of reasons for you to blog. One thing blogging has improved a lot in my life is my writing skills. I have noticed that my writing skills started to improve rapidly during the first few months I started blogging. And soon, I realized that my writing was becoming more professional. My writing skills improves because when I blog, I write. Writing is the best way to improve your writing skills, right? Obviously. And when I write, I need information and I go to read other blogs too. And reading is another essential for improving your writing skills. When you blog, you get feedbacks. And when it comes to feeding back the feedbacks, you have to communicate. And when you learn to communicate, you improve your communication skills and learn to communicate better. When I was 8, I started creating websites using simple HTML and created www.wholebrainlearning.net. I haven’t updated it since two years ago. Now, I know basic PHP, CSS, and coding, and more HTML. It is because I have had to tweak my blog design to make it more unique, and also add more features to my blog’s theme. 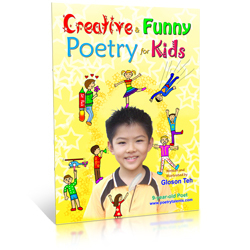 Do you know that my other website, Poetry Talents, is using the same theme as Gloson Blog (this blog)? It’s only a matter of modification. Blogging can give your mind some good exercise. A good blog post takes effort to write, right? Right. And you can get creative with your blog posts too. You will make some mistakes as you blog, and that’s cool , because if you make mistakes, you will learn and will not repeat the same mistakes in life. Blogging is a great place to meet people and make friends with them. As you meet and interact other bloggers, you make friends with them and help each other. But be careful who you make friends with! 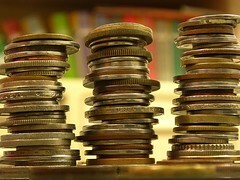 I also got the chance to put Google Adsense to my blog and make a little money through it. Although I don’t focus on making money, some other bloggers do. They make money though Google Adsense, advertising, affiliates, and even writing blog posts for other people. Some of them even make a living out of blogging! However, you need to use the right tactics and strategies. By writing useful articles, you help other people solve their problems or discover something. Helping people gives you happiness. At the same time, you make friends. If you write a lot of good articles and help a lot of people, you build your name/brand on the web. Blogging might even make you famous one day. You can find out your readers’ thoughts and suggestions about your stories or ideas by looking in the comments section. Sometimes, there might even be quality comments like constructive criticism, that teaches us to become better. You can also post question posts too. I’ve made a post asking why my readers unsubscribe from blogs and received some interesting replies. Blogging gives you to opportunity to experiment and research. For example you could see which type blog post is more popular and why that is so. Sometimes, blogging gives you a perspective of life. For example, sometimes you get hate comments and there are people who will become jealous of you. Well, that is what real life is like too. In fact, I think most of the things in blogging apply to real life. Blogging also teaches you how to deal with that situation. When you write useful articles and get lots of blog readers/followers, you are being a leader. With that, you can accomplish more and help others grow. By blogging, you can create something new, original, and valuable and share it in your blog with your friends. As you blog, you will learn more things. Usually people blog about a certain topic that they are passionate about. Blogging will expand your knowledge about that topic very much. Since I’ve started blogging, my knowledge about technology and blogging increased a lot. Let’s say you are passionate about something. And blogging is a great place to express and share your passions, and be heard. Personal blogs are a terrific way to keep in touch with your friends or family from different parts of the world, by posting stories, videos, pictures, etc. Instead of using your free time for playing that favorite computer game of yours, why not write a new blog post? When you post articles, you are like writing a diary or a journal. After some time, when you look back at your oldest posts to your newest posts, you can understand more about yourself and learn to improve. You know, it’s fun writing articles on topics you are passionate about, helping people solve problems, and doing blogging stuff! When you are blogging, you discipline yourself by finding the time to blog or sticking to a posting schedule. When I first started blogging, there were not much visitors, comments, or subscribers on my blog. But now, after a year already, I have a good number of visitors, comments, and subscribers. Blogging teaches us to be patient and tells us not to give up. So there you go, 22 reasons (or benefits) of blogging. If you think I have missed out some more points, please share it in your comments. I hope this post motivated or inspired you to blog! Happy blogging! 57 Awesome Articles To Keep You Occupied Over Christmas! Blogging does indeed open up various opportunities, thoughts, skills, etc. Great post with some awesome examples! I know I’ve made a ton of cool friends through blogging. Good luck on your own journey, yeah? 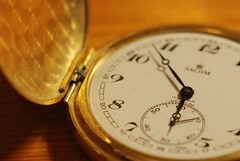 .-= Corey Freeman´s last blog ..5 Effective Time Management Tips for Freelance Writers =-. Another great article. I can’t think off so many reason why I need to blogging. Maybe I have not gone through yet Time will tell everything just like what you have did for the past 1 year. I made a huge mistake when I quit writing on my blog a year ago. I had about 1,500 daily hits, I started up again after 6 months, but now after writing for another 6 months I have about half of my former following. I got burned out and tired of insulting and negative comment. I realized a lot of it was my fault because of the subject matter I chose to write about. I now just delete the real vicious comments. It is like you are invited to my house, if you can’t be nice you must leave. I agree pretty much with all the points you make. Good post. .-= Dave Moulton´s last blog ..From the Desk of Yours Truly =-. Thank you very much for sharing your experience with us . Your experience teaches us to learn from our mistakes and not give up. I agree with your points too. Yep, some affiliates are sure “make a living out of blogging”. With proper targeting, an affiliate ad on a blog can yield considerably better income than Adsense. There are several pitfalls though, and before anyone starts doing it, they should (as you’re pointing out) think up the right strategy, and carefully decide on the tactics to use (with the end user experience in mind). .-= Geno Prussakov´s last blog ..SEO Link Building in Affiliate Marketing – Merchant’s Perspective =-. All of these are of course great reasons to blog. The one that sticks out the most for me is #1 but you really have 2 reasons mixed into #1. It improves your writing skills of course however, since you are going to be reading more blogs at the same time it increases your knowledge. that to me is one of the biggest benefits. Also #6 making friends (networking with other bloggers) is a huge benefit. .-= Gerald Weber´s last blog ..How to Free Your StumbleUpon Inbox From “SPAM” Shared Messages =-. I’d also go with number 6. Although I have never run a blog. I used to do a lot of commenting and built a number of useful contact through this. 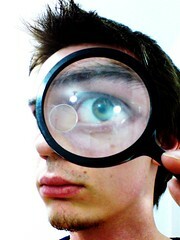 .-= David´s last blog ..Supply and Demand for SEO in the UK =-. Well, actually, I’ve explained about learning new stuff through blogging at reason #16 and I completely agree that it is a very huge benefit. So I guess I’ve already separated the two points. Thanks for notifying me anyway . I agree with Gerald. Exposing yourself to other people’s blogs will increase your understanding of what works and what doesn’t work. You can then take these ideas back and integrate the best of them into your efforts thereby increasing your skills and of course the quality of the content for your readership. 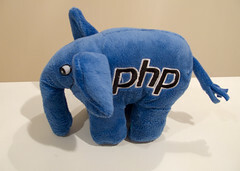 .-= Chris Burns´s last blog ..Integrate wordpress Blog In Joomla Website =-. I agree with you too. Learning from other people’s mistakes is a good idea. Thanks for the interesting tip! I personally do believe that blogging makes me a better writer and it has allowed me to make may new friends online. .-= Dominique´s last blog ..Monday Edition- Birthday Giveaway Winners =-. The Google Adsense how to use? Just wanted to stop by and say HI! Gloson, you and your family are always in my prayers! Nice post, Gloson. I have been blogging for just over three months now and have found the experience enjoyable and rewarding. .-= John Zimmer´s last blog ..Gone Walkabout =-. Thanks for sharing those reasons. All theses reasons are very much true.By making your personal blog you can increase your writing skills, comm. skills, tech. skills.I create my own blog and i feel it is the best way to make your personality.Really a great post.Thanks for share such an information with us. Corey Freeman – Thank you! Good luck too on your journey! Dominique – Thanks! It certainly does! Dennis – Thanks, Dennis! I’m glad this post has inspired you! .-= Sean Rasmussen´s last blog ..Mindset Mastery 135 – On The Crest Of Success =-. Blogging is just a great way to get lots of creativity of your chest. Regardless whether you are a good writer or not. 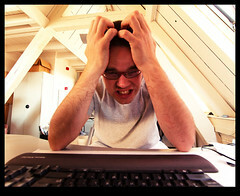 .-= Jacob Stoops´s last blog ..Page Titles & SEO: The Top 7 Must Do’s =-. Thanks for your ideas. Nice list, and a lot of those reason carry over into other parts of people’s life’s, so blogging can help a person develop great life skills. I think it teaches people how to accept criticism about their ideas, which is a valuable lesson to learn. Indeed, blogging is good times. I need to blog more often. Just shared this on twitter, nice work. Excellent post. You inspired me to come up with my own list, even though most of them are covered in some way from your list. My list is my first post on my new blog. I used your graphic and linked back to this post as well. If you want me to remove the graphic just let me know and I’ll use something else. Sean Ramussen – Yeah , I agree. Nick Stamoulis – Yes, so you don’t necessarily have to be a good writer to blog. Jacob Stoops – And that’s a very good use of blogging . Miguel – Thank you! Blogging does certainly teaches life skills. Bloggeries – Appreciate your tweet! By the way, here are 24 things to do when stuck for a topic to blog about, which may help you to post more often. Wow Gloson, you’re insanely good about replying to your commenters. Don’t think I’ve seen anyone reply to such a large number of their comments; even the really small ones that most would ignore. Great post man, really enjoyed it. .-= Noah´s last blog ..Private Investors to the Rescue of Small Business =-. damn! very nice blog! if all malaysian ppl think like you! sure it will mean alot! .-= Najib Hassan´s last blog ..Mac OS X Snow Leopard Release =-. Interesting points, most of which apply to me. I would also like to add that blogging is also a good outlet during transitional periods in life – such as moving between countries, moving between schools/companies, moving form the student to the corporate world, or from work to retirement. It is a good way to get tips on how to deal with the “new world”, to express your thoughts and also to gain friends while adjusting to the new circumstances. Good post! .-= The Envoy´s last blog ..Kamikaze =-. Blogging is the passion for everyone now a days it is now turning to their profession . .-= earningstep´s last blog ..Top commentator contest winner – Free advertise on my blog =-. Blogging indeed has several advantages. When you blog, you make your mind work. You think of ideas, and how to somehow improve it. When you blog, you say what you want to say, what you want others to know. Therefore your blog must have content. When you blog you teach and learn at the same time. You communicate, you reach out. The article made me realize of how far a blog can go. This is an amazing post from an 11 yr old kid -that’s you. Very sensible and informative. I also enjoyed the humor..lol…I followed this link from my friend Jan Geronimo and I’m happy I did. In my recent post I have also introduced a new, young blogger – Ryzen who is only 9 yrs. old. She is still very new -barely with 5 short posts but if she would be able to connect with young bloggers like yourself, then she would be motivated to blog more. I hope you could visit her site and encourage her too. Cheers and all the best. .-= Jena Isle´s last blog ..A Gifted and Talented Blogger in Our Midst =-. Not only does blogging improve my writing skills but it also improves my reading and social skills. Something I had been lacking before I started blogging. To be frank my passion is keeping my blog alive. I consider blogging as my hobby. Very informative article, nice to visits your blog. .-= neo´s last blog ..Berbagai hal yang harus dikerjakan ketika tidak sedang ‘Ngeblog’ =-. .-= kenwooi´s last blog ..Supporting Earth Hour: The Hidden Purposes =-. I agree Gloson, i wanted to create a platform for what i have to say and hence my blog represents me and youth. .-= Rakesh Narang´s last blog ..Linkin Park’s 8-bit Rebellion – The Game for iPhone =-. Wow! You’re really amazing Gloson! I really inspired by you. Introduce my self, I’m Hangga Nuarta. 17 years old, Indonesian blogger. Hi Hangga! Nice to see you here! It’s inspiring to see another young blogger around in the blogosphere! Saya sudah membaca blog anda dan ia sangat bermotivasi! You’re most welcome, Kharim! Thanks for dropping by! Thanks for a great post! I’m definitely coming back for more. It is encouraging, informative, motivating especially for someone just starting out. Helped me to understand that if you keep at it (blogging), you will become more expert at doing it, your writing will improve, your blogging knowledge will improve, your number of readers will improve – but it all takes time, effort, and discipline. Thanks Penelope! I’m glad my post motivated you! I’ll be reading more of your blog posts here. Do you mind if I feature this one on my site? It will really help my readers a LOT! Thank you very much Jaja! Sure! You can use this blog post on your website as long as you link to it! Gloson.. thank you for taking the time to list these reasons out. Honestly I am not a big “blogger” but even a skeptic might be convinced to start blogging from the list you have created. I will make sure to reference this to others. Have a great day. Thank you very much for the kind words, Richard! have a great day too! It’s a great post to read and which has good tips too. Just shared to my friends. Hi Goutham. Thank you so much for sharing it! I appreciate it! Hi Glosan, This is my first visit to your blog. You are doing a great job and i love your blog. keep in touch. This points will inspire to start a blog for anyone who reads this. Thank you very much, Jawahar. I’m glad you like my blog! Hi Glosan this is also my first visit to your blog and I want to congratulate on your 100th successful posts. All points are valid and practical in nature. All the best for your career glosan. Thank you very much! I appreciate your kind words! I’m glad you like my blog! Hi Gloson, this was actually the first time I visit your site. I was actually amazed how a 12 year old kid can manage to do this. I can also say that the way you share your thought was not obvious a 12 year old kid because mostly, kids at your age are most interested playing games, but you are different. I’m planning to visit you again because you truly caught my interest. Anyway, nice post. I have seen some reasons for about 5 or up to 8 lists only, but you have a nice list of tips, reason and ideas. Very cool! Hi Andy! Thanks so much for the kind and words! You really encourage me! Hope to see you again! You have no idea how right you are (well, you probably do have an idea ), especially on the writing skills improvement issue. I’ve been blogging for about a year now, and not only did y writing skills improve, I now actually enjoy written expression (I’m the talkative type…). Thank you very much Dan! Yeah I agree on the haters’ comments. If they are constructive criticism, you can consider it, but if they are insults, just ignore them. Thanks Mrinmay! I’m glad you like my post! You did a really great job highlighting some of the biggest benefits of blogging. Regardless of your age, location, or interests…blogging always seems beneficial in one way or another. I know many people who blog simply as a stress releaser. A personal outlet for venting frustrations and concerns. For others it’s a public diary to help people understand who they really are. My main reason was to share tips and experiences. It’s hard not to see the many benefits all along the blogging journey. 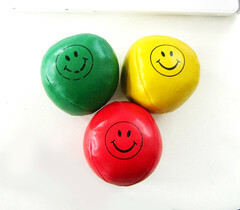 Stress releaser? I’ve never thought of that! LOL, but that’s a nice reason. Not only you can release your stress but also you can make new friends and build your name on the internet, which makes you happier . Yup, one of my main reasons is to share interesting stuff . As a photographer a blog gives you a platform to display your work and at the same time give a bit of written info about how and why the photographs turned out the way they did. This gives your reader a nice bit of insight into your work…and hopefully convinces them to hire you st some stage as well. Very inspiring post Gloson. I enjoyed reading your post here and your poem. You open the door of blogging to the kids. Kids must not just use computer for gaming but even more useful way. Thank you google for driving me here in your site. In blogging, I learned a lot of things and met new friends. Gloson is one of my new buddy in blogsphere. Thank you you really inspired me Gloson. I have a 1 and half year old boy and I want him to blog too when he grows up like you. Your skills amaze me Gloson, seriously to be able to run and write all this at your age. Creds to you! I loved this post. Most of your reasons to blog are mine too, and I agree with the remainder of the list. Blogging is a blessing, it enhances creativity and makes you feel closer to the rest of the world. I wish I had a chance to blog when I was 12-13 too; too bad there were no personal computers around on 1996. I used to have fun on my writing machine though, writing down short stories and novels. I enjoyed keeping paper diaries too. Blogging is all that and much more.